I may resign as Coach of Cambodian National Football Team! Because all the players refuse to listen to what I taught them! They do not do what I told! They always make the same mistakes and refuse to change those mistakes! But if the Football Federation of Cambodia want to continue the contract with me ! 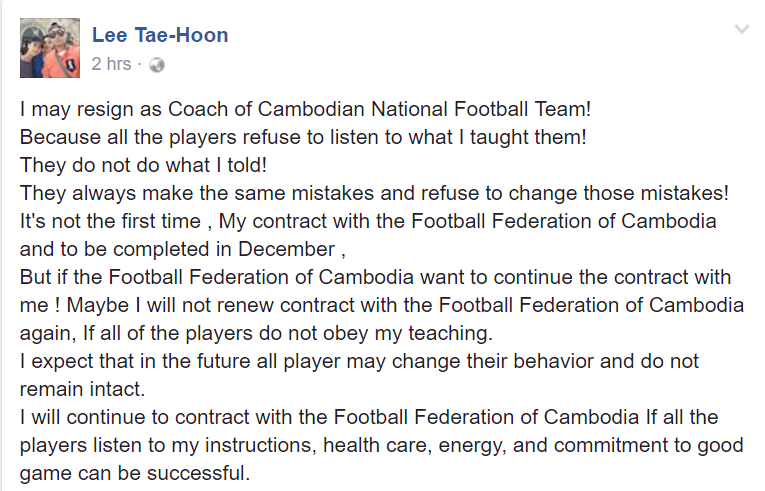 Maybe I will not renew contract with the Football Federation of Cambodia again, If all of the players do not obey my teaching. I expect that in the future all player may change their behavior and do not remain intact. 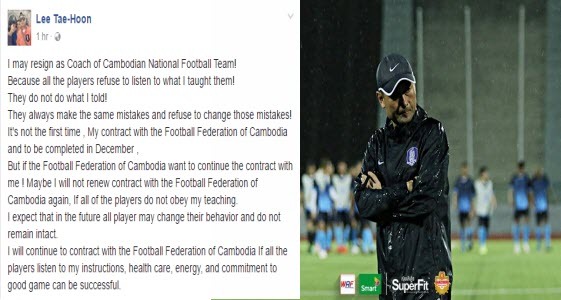 I will continue to contract with the Football Federation of Cambodia If all the players listen to my instructions, health care, energy, and commitment to good game can be successful.